November is an important month at Kids Kottage, both because it’s Family Violence Prevention Month, and because of November 20th – National Child Day. Both causes are so important to our hearts and at the core of everything we do here at the Kottage. National Child Day is a celebration of the UN’s two documents centred on children’s rights: the United Nations Declaration of the Rights of the Child and the United Nations Convention on the Rights of the Child, and, by ratifying these documents, Canada made a commitment to ensure that all children were treated with dignity and respect. It means that all children have the right to have a voice, to be protected from harm, and to be provided with their basic needs and every opportunity to reach their full potential. Kids Kottage is a catalyst for family violence prevention. We are here as a support network for family systems of all shapes and sizes who may be struggling, who need a little extra help and compassion, to stay strong and safe for the children in their care. We are a 24-hour help line, a source of community referrals, 72 hours of safe shelter for children, and an important advocate for the voices of children who have not yet learned to speak for themselves. We know about the risks of family violence, the lasting effects they have on young minds. We know about intergenerational trauma and toxic stress, and how easy it is for any caregiver to be a victim of intergenerational trauma. We know how important it is to break the cycle of trauma and of poverty to give caregivers and their children an equal chance at success. Kids Kottage is, at its heart, prevention. 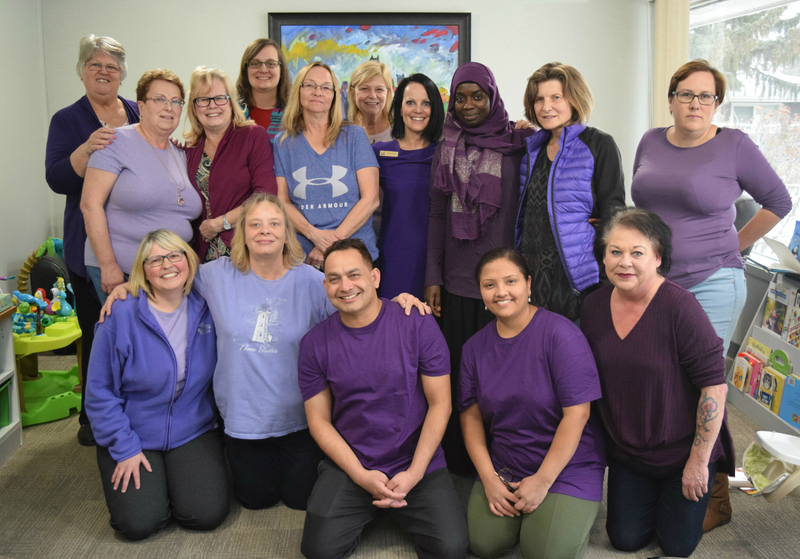 That’s why we are so proud to wear purple in recognition of Family Violence Prevention Month.